It’s been a while since I posted something the last time. It’s really busy here with the new baby in the family, because I am still trying to fit all my chores in the day: work, cooking, cleaning, exercising, taking care of kids and many other things. 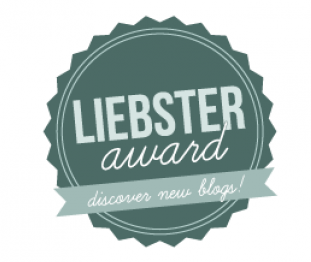 I miss blogging, reading, watching movies and sleeping, so as soon as I have some free time I am trying to do something for myself. It’s July already and I still can’t believe we are almost in the middle of summer. Because of lack of time, I am trying to make our meals as simple as possible now. Friend of mine brought me some rhubarb from her garden few weeks ago. We use it a lot back in Ukraine: making drinks, pies, desserts, jams etc. It’s not easy to find it here in US at the grocery store, so I was excited to make something with it. For me it tastes the best in pies, so I decided to make vegan, gluten free, rhubarb pie. 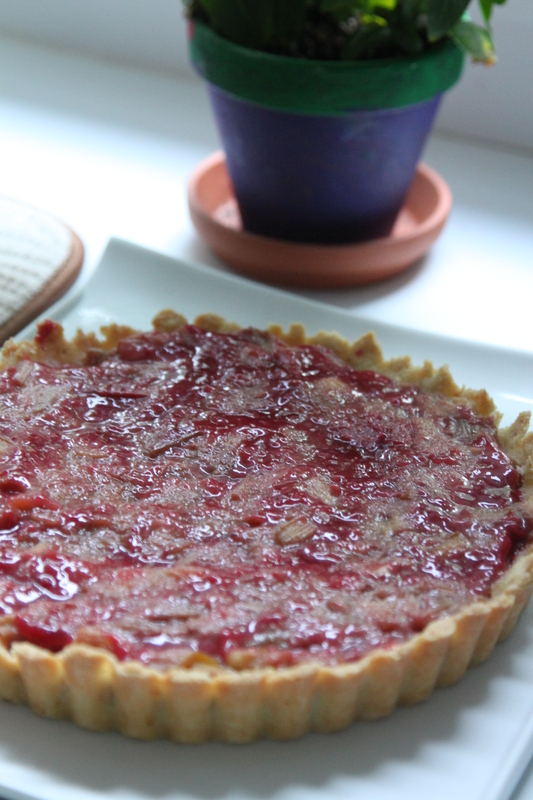 Rhubarb usually has tart taste, so you need to make it sweet to enjoy it. The recipe asks for maple syrup which works great instead of regular sugar. Preheat the oven to 350F. Grease a tart pan with coconut oil. Ina large bowl, combine almond flour and sea salt. In separate bowl, whisk together maple syrup, coconut oil and lemon zest. Pour wet ingredients into dry and fold to combine. Transfer dough to tart tin and press to form a crust. Bake for 15 minutes or until golden brown. Remove from the oven and let it cool on wire rack. Line baking sheet with parchment paper. 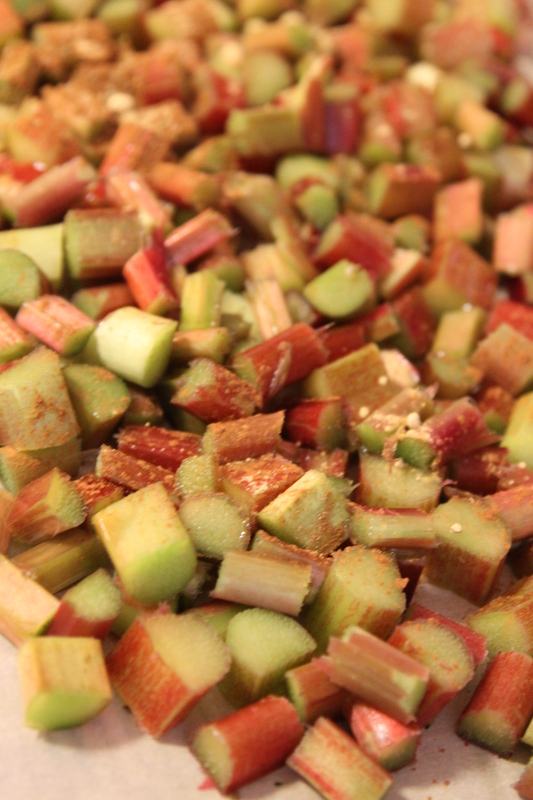 In large bowl, toss rhubarb with maple syrup and cinnamon. Spread evenly on baking sheet and roast for 15min. Remove from the oven and set aside. 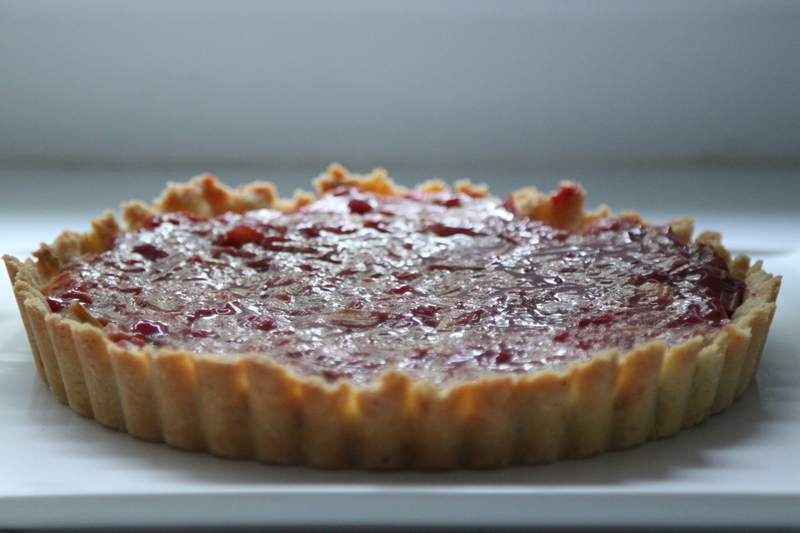 Use a slotted spatula to transfer roasted rhubarb to tart shell. Pour any remaining rhubarb juices into a small skillet. Add jam, lemon zest and lemon juice to a skillet and whisk over medium-low heat until liquid. Spoon glaze evenly over rhubarb and allow to set until ready to serve. Tastes the best the next day. 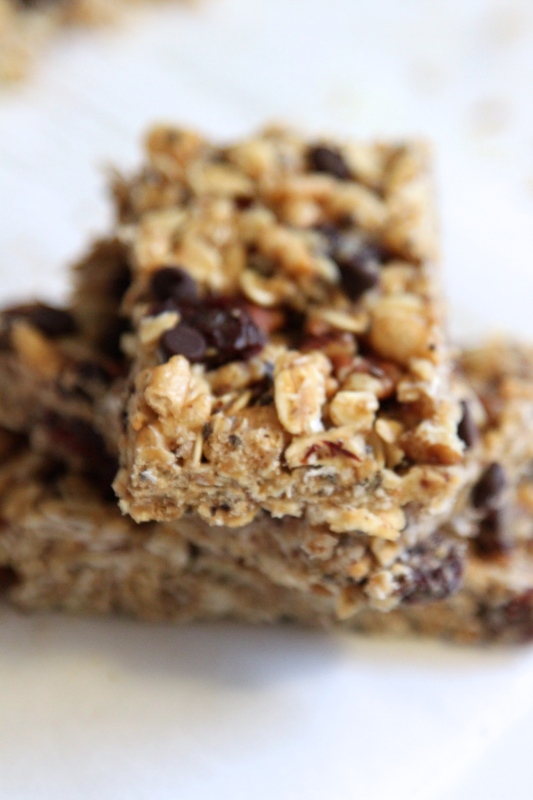 Granola bars always work great as a quick breakfast, snack or even a little treat. They are even better when made at home with a few ingredients, without any chemicals. 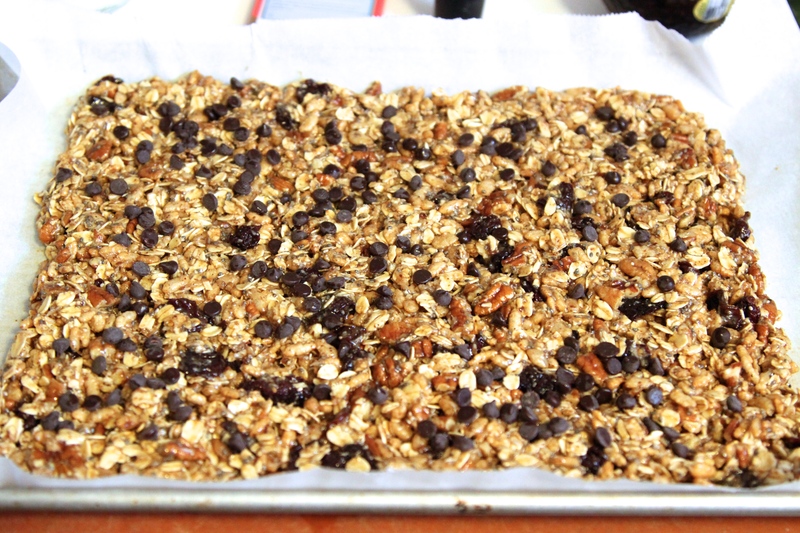 To be honest, it took me almost 2 years to try making my own granola bars at home. Of course, it’s easier just grab some on the shelf at the grocery store and not spending time in the kitchen cooking them. But it took me about 10 minutes to make them and they turned out 100% better than the store bought ones. I am sharing my recipe with you today. Feel free to add your favorite seeds, nuts and dried fruit. I personally used pecans and dried cherries. Ina large bowl, stir together the oats, rice crisp cereal, pecans, coconut, chia seeds, dried cherries. In a medium pot over low heat, melt the coconut oil. Remove from the heat and stir in the almond butter, coconut nectar and vanilla until smooth. Pour the wet mixture over dry and stir well until thorougly combined. Add a pinch of salt and stir again. Transfer the mixture tot he prepared pan, spreading it out into an even layer.Lightly wet your hands and press doen on the mixture to even it out. Use a pastry roller to compact the mixture firmly and evenly. This helps the bars hold together better. Place the pan in the freezer, uncovered for 10-15 minutes. 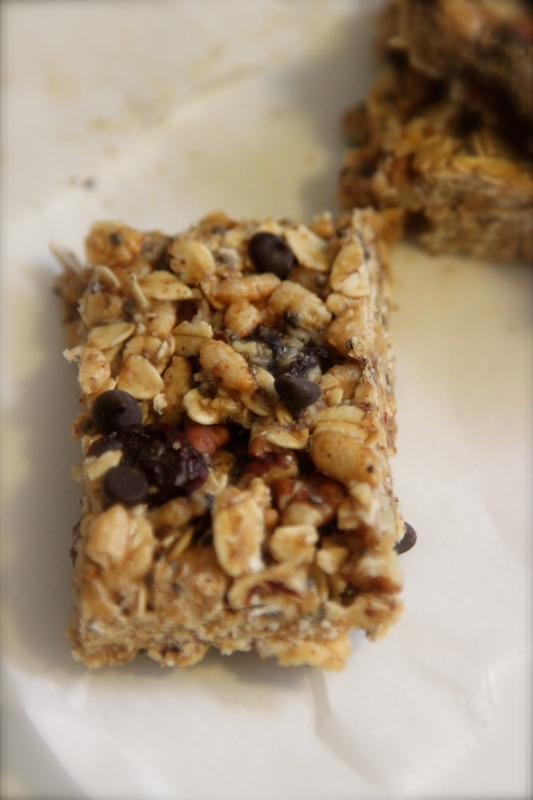 Lift the oat square out of the pan and place it on a cutting board. Slice the square into bars. P.S. These bars don’t hold together perfectly, so don’t let them sit at the room temperature. Trying different kinds of salads is probably one of my favorite part of cooking and eating. I love salads and they are always the easiest and the fastest way to fix some meal. 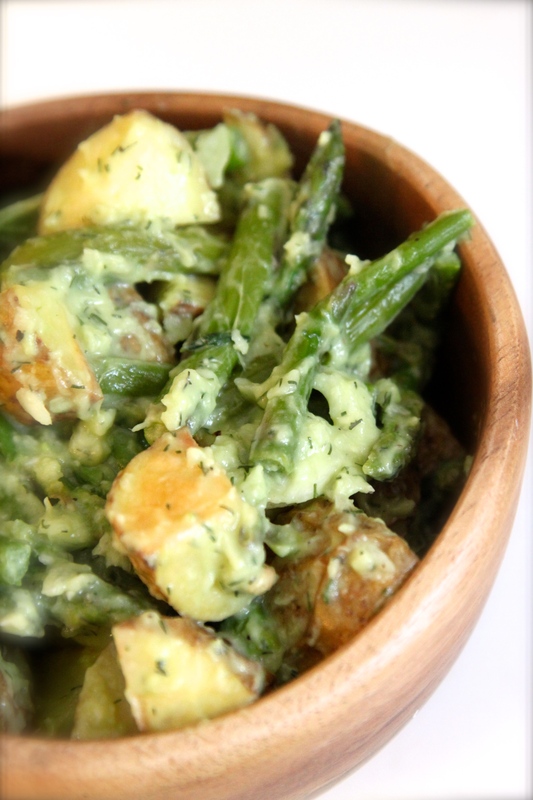 This recipe blends avocado with dill, green onions, and lemon juice to create a tangy, creamy dressing for roasted potatoes and asparagus. 1. Rich in vitamin B6, copper and magnese. 2. Helps control blood sugar levels. 3. Best energy producing veggie. 4. Resists stroke and heart attack. 9. High in Vitamin A. Just remember, it’s better to bake or roast the potato, not boil or fry. 1/2 cup chopped green onions. Preheat the oven to 425F. Line the baking sheet with parchment paper. Spread the potatoes in the even layer on the prepared baking sheet and drizzle with the oil. Season with salt and pepper. One the other baking sheet spread the asparagus, drizzle with oil and season with salt and pepper. Roast potatoes for 15 min., flip them, and roast for the other 15-20 min., until golden. During the last 15 minutes of roasting potatoes, place the asparagus in the oven and roast for 9-12 min., until tender. Transfer the roasted potatoes and asparagus to a large bowl and stir in the green onions. Make the dressing. 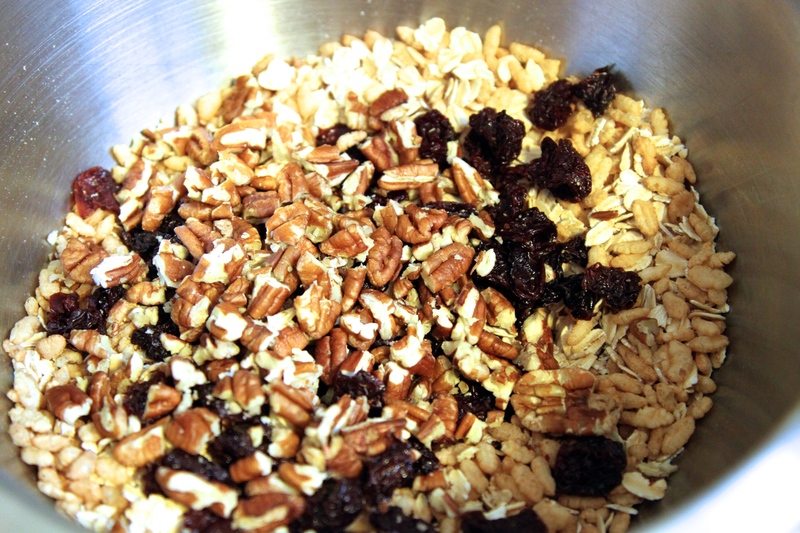 In a food processor, combine all the ingredients with 1/4 cup water and process until smooth. Add the dressing to the bowl with the potatoes and asparagus and stir until combined. The salad is also good chilled. I haven’t been posting anything for a while, so hopefully I am back on track and will try to post at least few times a month. 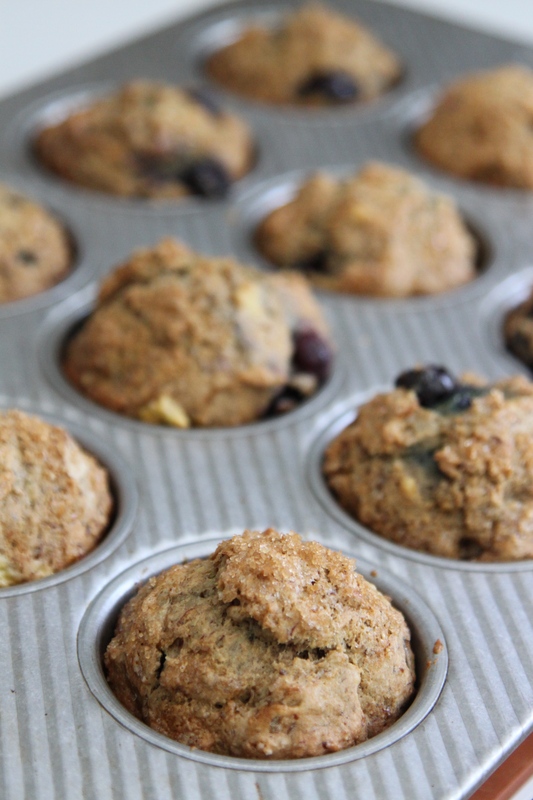 I like trying different ingredients in my recipes and replace them with non-dairy alternatives, so one of my task for a while was to find the perfect recipe for muffins. I tried a lot of recipes and combinations but none of them worked as I wanted to. 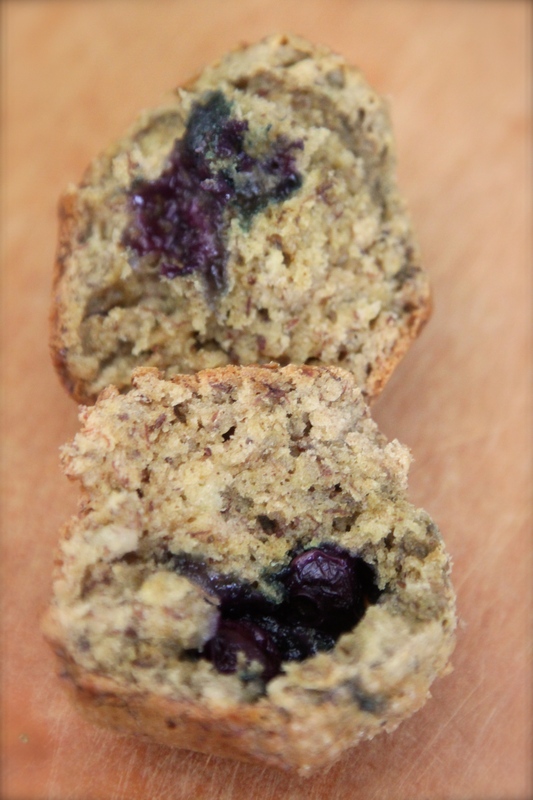 So few weeks ago I tried again to make the vegan banana blueberry muffins and finally they came out fluffy, moist and delicious. The other thing why I like these muffins, they are: nut free, which let me pack it for my daughter preschool lunch. 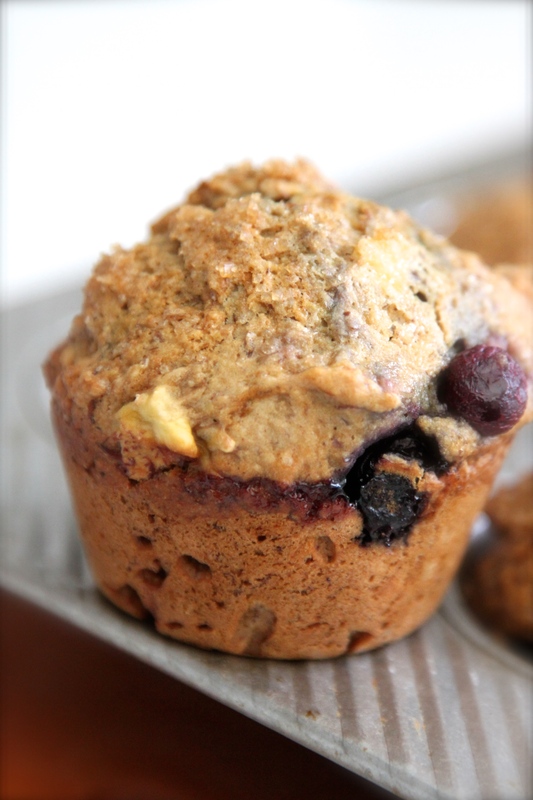 I can definitely say that this is the best vegan muffins recipe I tried so far. 1 cup blueberries ( I used the frozen one). Preheat the oven to 350F and grease the muffin pan with coconut oil. Combine flour, baking soda, salt, and cinammon in a bowl. Peel the bananas and mash them with the fork. Add sugar, flax eggs and mix well. Add the coconut oil in a stream while whisking vigorously. When finished, you don’t want to see a clear film of oil on the edges. If you do, mix more. ( This is very important). Stir the dry ingredients into the wet until almost incorporated. Add blueberries and gently fold in. Divide the batter between 12 muffin cups, filling to just about 3/4 full. Sprinkle the tops with more coconut sugar. Bake 22-25 minutes, until a pick inserted into the middle comes out clean. Let cool in the pan for 5 minutes, then carefully remove to a cooling rack. This is the best chocolate vegan cake recipe that I tried so far. It’s always hard to make something to taste as good as the regular desserts and at the same time trying to use as many healthy ingredients as possible. I wouldn’t call this cake completely healthy and guilt free but I was trying to make it as natural and delicious as possible. The recipe asked for whole wheat pastry flour, which I don’t usually keep in my house, so I went to get it for my cake. Don’t use the regular whole wheat flour, otherwise it will make your cake dense and heavy. For the sugar I used raw cane sugar. 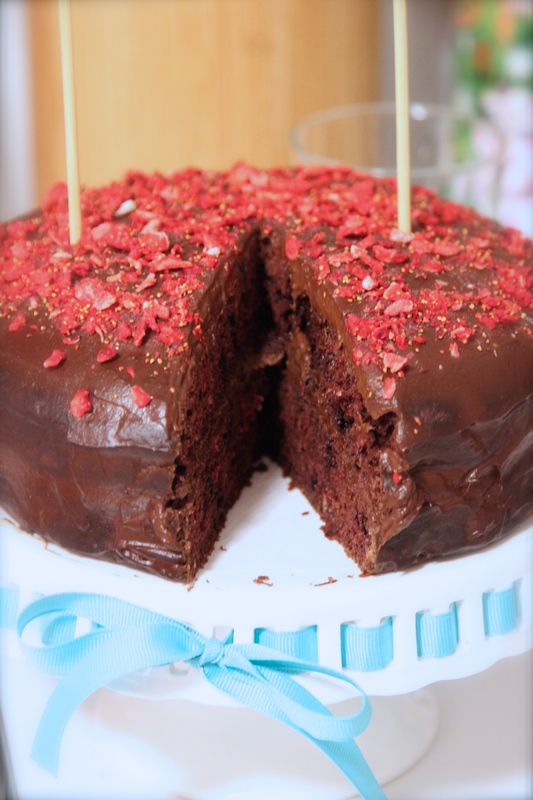 Don’t replace it with coconut sugar, becuase it will dry out and crack the top of the cake. In a food processor, process the avocado until smooth. Add the rest of the ingredients and process again until smooth. Transfer to the fridge until ready to use. Believe it or not, but nobody ever guesses what is this frosting made of. Preheat the oven to 350 F. Lightly grease 8-inch cake pan and line the base with the parchment paper. In a medium bowl, stir together the milk and vinegar. This combination makes vegan buttermilk. Add sugar, oil and vanilla. Whisk to combine. In a large bowl, whisk together the flour, cocoa powder, baking soda and salt. Pour the milk mixture over the flour mixture and beat with the mixer until smooth. Divide the batter between two cake pans. Bake the cakes for 30-35 minutes. The cake is ready when it slowly springs back when touches and a toothpick inserted in the center comes out clean. Place pans on a cooling rack to cool for 20-25 min. 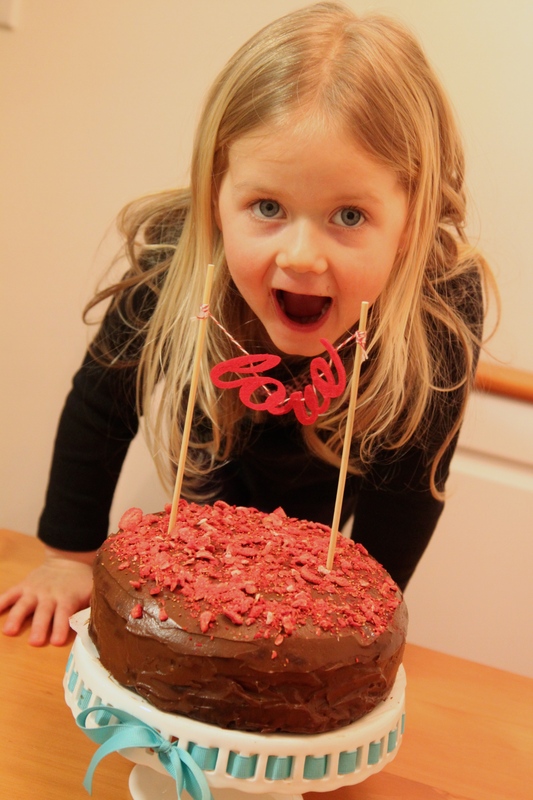 Once the cakes are completely cool, spread a layer of frosting on top. Place the second layer on top and gently push down to adhere. Continue frosting the rest of the cake. 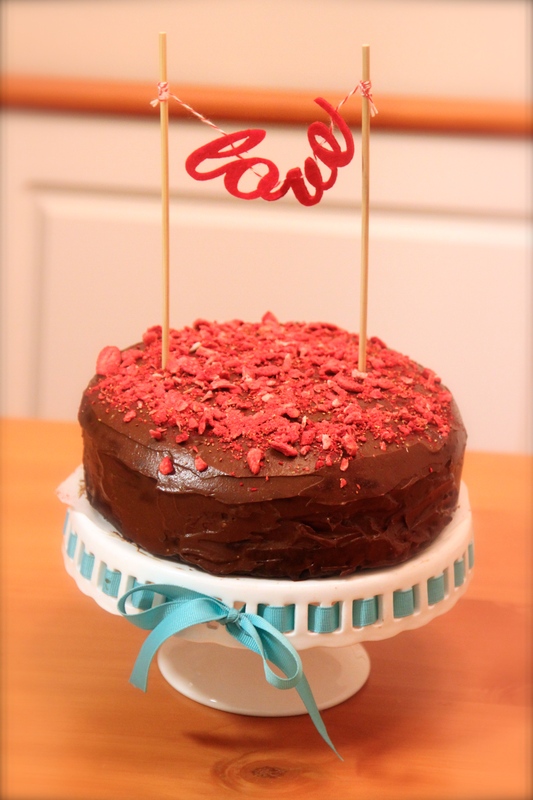 I garnished my cake with dried strawberries, but you can use shaved chocolate or other fruits. Next time I will try to put some from strawberries between layers, to make it taste more fresh. 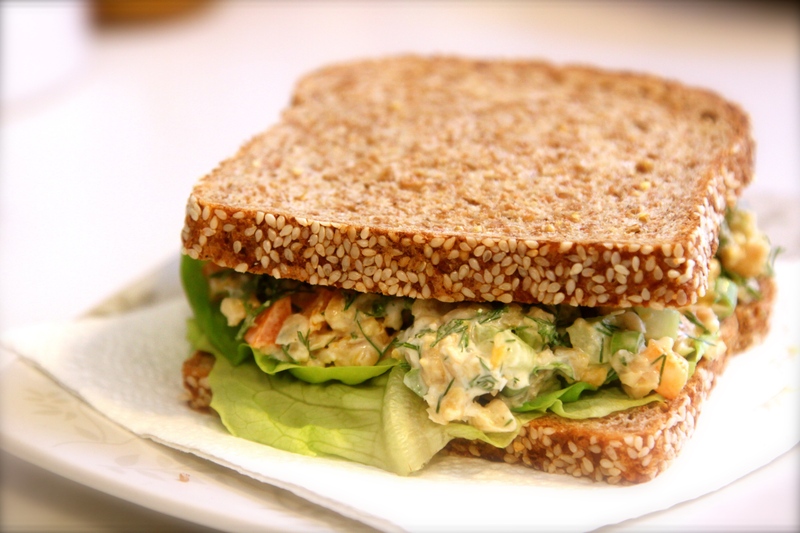 Great idea for quick, healthy lunch is making a sandwich. There are not a lot of options for making your sandwich healthy, delicious and plant based protein packed. Here is the great recipe which combine all these points: healthy, delicious with plant based protein. Gluten, dairy free, vegan recipe. In a large bowl, mash the chickpeas with a potato masher until flaky in texture. 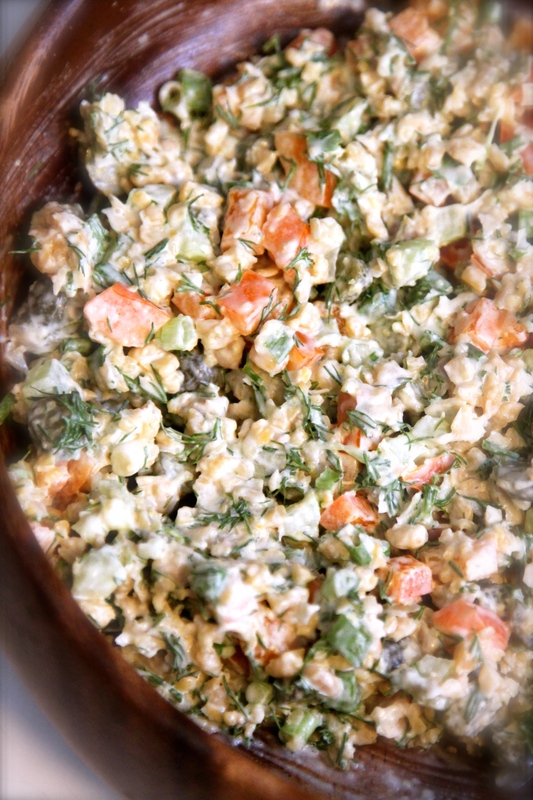 Stir in the celery, green onion, bell pepper, pickles, mayonnaise, and garlic until combined. Add dill and season with the lemon juice and salt. Serve with toasted bread of your choice, crackers or wrap. 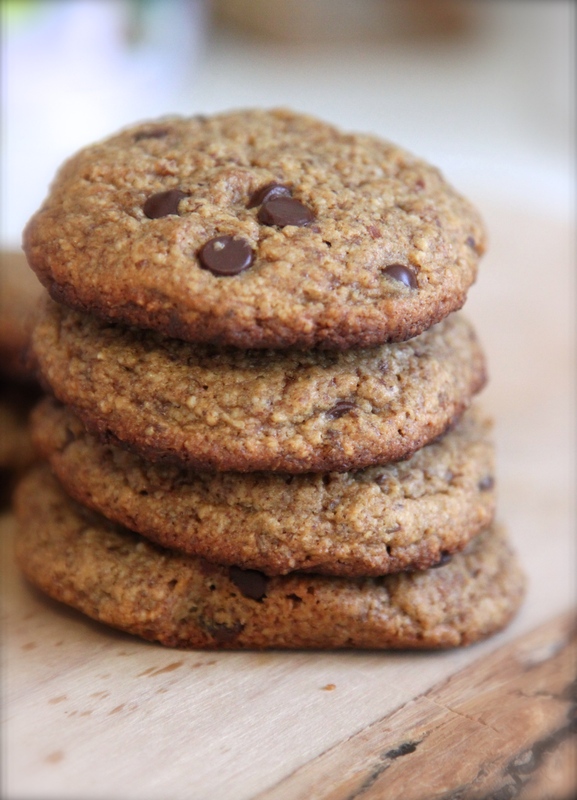 Crispy Nut Butter Chocolate Chip Cookies. 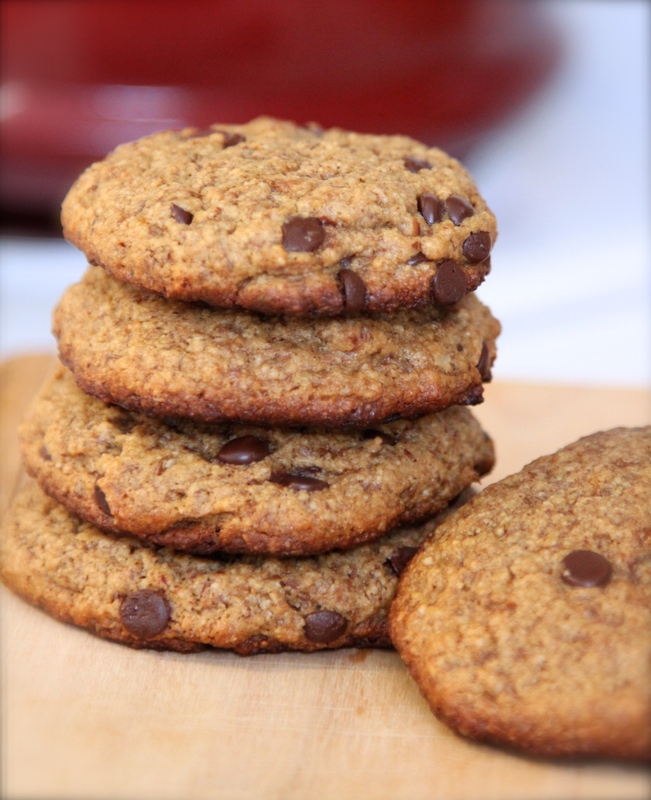 Easy and delicious cookies recipe I am sharing today is vegan, gluten, dairy, refined sugars free. It does has nuts in it, but to make it nut free, you can use sunflower seeds butter instead of the nut butter and replace almond meal with extra oat flour. These are my favorite ones because they are crispy and chewy at the same time. 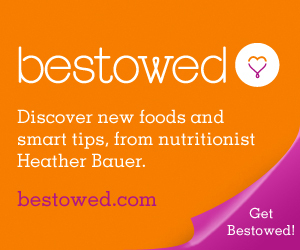 In a small bowl, mix together the flaxseed and water and set aside for 5 min. In a stand mixer fitted with the paddle attachment, beat together the coconut oil and nut butter. Add sugar, flaxseed mixture and vanilla until combined. One by one, beat in the baking soda, baking powder, salt, oat flour, and almond meal. The dough should be lightly sticky. Fold in the chocolate chips. Shape the dough into balls. Place the balls on the prepared baking sheet , leaving 2 to 3 inches of space between them. There is no need to flatten them as the cookies spread out as they bake. Bake for 12-14 min., until golden brown on the bottom. The cookied will be soft coming out from the oven, but they will harden as they cool. Let them cool and enjoy!!!!! !